Home The NewsMill Mirwaiz for tripartite dialogue to resolve Kashmir. Kashmir issue is a “legacy of history” and it has to be resolved politically, the Hurriyat Conference (M) chairman Mirwaiz Umar Farooq said on Friday.Addressing a public gathering at historic Jamia Masjid a day after he returned to Srinagar after facing three-day questioning at the National Investigation Agency headquarters in New Delhi, the Mirwaiz said that he told the probe agency’s sleuths that Kashmir issue is a “harsh political reality and it has to be resolved politically”. I told the NIA team that it’s our policy and stand that Kashmir issue has to be resolved by India, Pakistan and the people of Kashmir,” Mirwaiz, who is also Kashmir’s chief cleric, said.He said he is not among those “who speak in different tunes in Delhi, Srinagar and Jammu”. “Threats, intimidations and coercion can’t force us to change our stand on Kashmir. We represent aspirations, feelings and emotions of the people of Kashmir,” he said. “Whether elections are held in India, Pakistan or Kashmir, the basic nature of the Kashmir dispute will remain the same till this issue is not resolved politically”.The Hurriyat chairman alleged that many ploys were adopted to “build pressure on the leadership and force them into submission”. 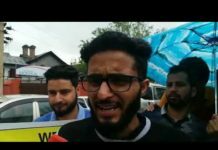 “My house was raided and then I was sent notices one after the other,” he said.Mirwaiz said a “collective decision was taken and all of us (Hurriyat leaders) decided to fly to Delhi to face the NIA”.“A misinformation campaign was launched by Delhi media that I wasn’t cooperating with the probe agency,” Mirwaiz said. “During the NIA questioning”, Mirwaiz said, “I was asked about various organisations which I head, including AnjumanAuqafJamia, AnjumanNusrat-ul-Islam, DarulKhair, Hurriyat (M) and Awami Action Committee, details of which they had seized during the raid, as well recommendations for Kashmiris for visas to Pakistan and recommendations to medical colleges in Pakistan, about which I apprised them”. 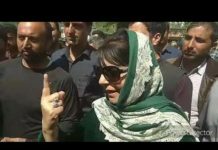 Mirwaiz said his life and the Hurriyat’s stand are “an open book and there is nothing to hide”.Mirwaiz said that every citizen of India must realise that there is no military solution to the Kashmir issue, “which is purely political and needs a political solution”.“Our stand is not something new. It has been same which MirwaizMoulana Muhammad Yousuf Shah (RA) advocated for Kashmir in 1947 and what my late father MirwaizMoulana Muhammad Farooq floated in a public rally in Srinagar—tripartite dialogue,” he said. 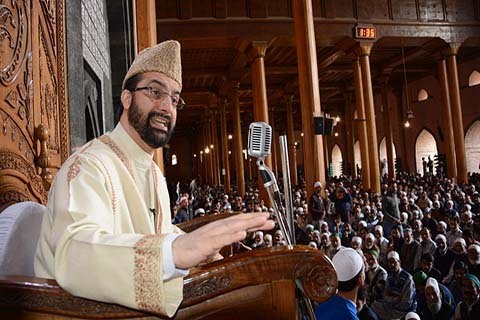 He said the pulpit of Jamia Masjid will continue to highlight people’s aspirations and issues in the same manner as it has been doing since 1947.“Our strength is the people of Kashmir. The Kashmir movement is a people’s movement and it’s not about any organisation, individual or group. I represent people’s aspirations,” he said. “Kashmir issue is a legacy of history and its historical perspective cannot be ignored”.“It is unfortunate that not only the people of Kashmir, but armed forces of both India and Pakistan are getting consumed in this conflict,” he said. “Wasn’t it the Hurriyat that not only strongly advocated a dialogue between India and Pakistan but also engaged itself in talks with both the countries,” Mirwaiz said, recalling that the Hurriyat had even “suggested some confidence building measures (CBMs) to the government of India, but there was no forward movement”. Mirwaiz also strongly condemned the killing of a class 7 student at Handwara due to pellets on Thursday, stating that “lethal pellets continue to kill Kashmiri youth”.“How unfortunate it is that despite a United Nations report and the European Union strongly condemning use of pellet guns in Kashmir, forces continue to use pellets to kill Kashmiris,” he said. “We haven’t forgotten the scars of 2016 in which many people were killed by pellet guns and hundreds rendered blind”. 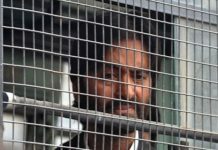 The Hurriyat chairman also termed the national highway closure for two days a week “an autocratic move”, stating that ban on civilian vehicles has caused “huge inconvenience to people who have already been pushed to the wall”. Previous articleModi will solve all problems of Kashmiris: Ram Madhav in Srinagar.